A popular variety commonly considered to be the best swede with a great flavour. 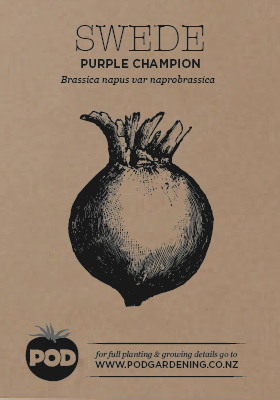 Purple champion has a globe-shaped root with golden flesh and purple shoulders (the top of the root that is exposed to daylight). Stores very well. Heirloom.